Reading other people's blogs is actually what encouraged me to take the plunge and set up my own, I really love how much you can get to know someone through their writing style. I also love how no two bloggers write or photograph in the same way so there's always something new. I wanted to share the blogging love and tell you all about a few people's blogs which I always find myself reading and returning too. Dorkface - If you freaking love cute amazing photography and relateable posts with amazing content Jemma's your girl, I could literally stay on her blog for hours she also has the most amazing Etsy shop which I am OBSESSED with. Toasty - If you're cruelty-free, vegan or vegetarian and love beauty I really recommend Beth, She's very bubbly which you can tell from her chatty posts, I love her writing style!. Poppy Deyes - Sister of Alfie Deyes (vlogger), Poppy has a blog that literally covers everything!, Whether you want a healthy cookie recipe or you want some fashion advice she offers such a nice insight and her photography is just goals like pls teach me your ways, Poppy. Louise Pentland - One of my favourite vloggers. Louise is so chatty, upbeat and positive and she always makes me feel positive and I usually have a good chuckle at her posts, I can not freaking wait for her new book Wilde like me to come out!. Tanya Burr - Another favourite vlogger - I love Tanya she's just a bundle of positiveness her personality is lovely and I just really enjoy reading her blog posts!. Tanya Bakes is my absolute favourite cookbooks going!. 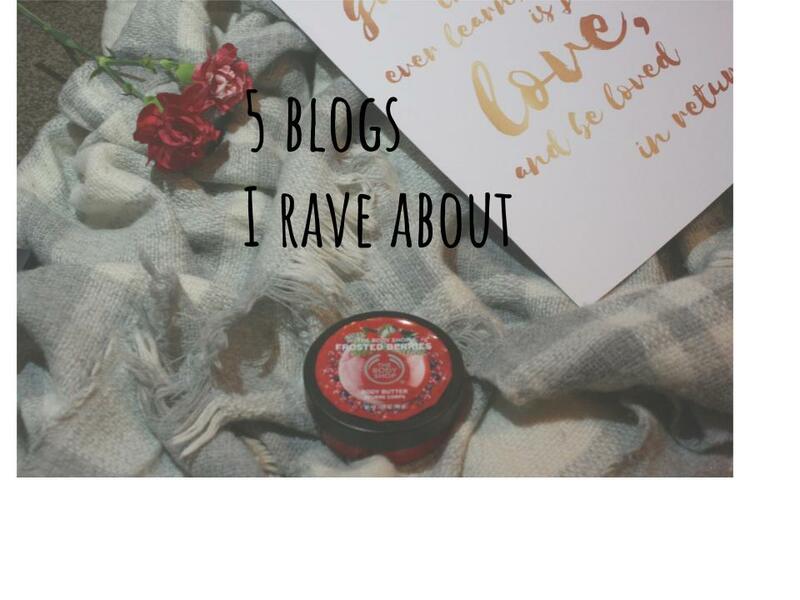 If you're looking for some new blogs to follow I'd really recommend the ladies above - I just know you'll love them!. I'd love to start reading more blogs if you can recommend anyone or you blog yourself let me know in the comments!. I love Tanya! She always seems to upbeat and I've watched a few Youtube videos from Louise and she seems really down to earth which I love. For me I'd recommend reading the blogs In The Frow and Hello October, oh and maybe The Anna Edit as well! I agree, they both always give me a positive mind set and no doubt if I'm feeling a bit crappy one or two videos will make me happier!. I'll for sure check them out!.